We had a lovely long weekend in South Devon in the autumn and we explored a few of the towns in the area. I highly recommend it for a break from city life – it feels good to fill your lungs with fresh sea air and walk along the sandy beaches. 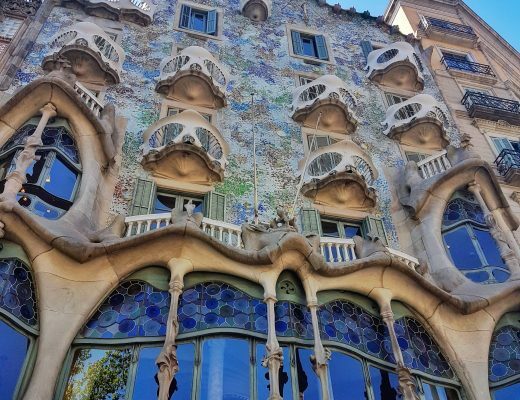 Obviously I am always on the look out for gluten free, so below you will find various restaurant and café tips, as well as details of a highly recommended bed and breakfast we stayed at. 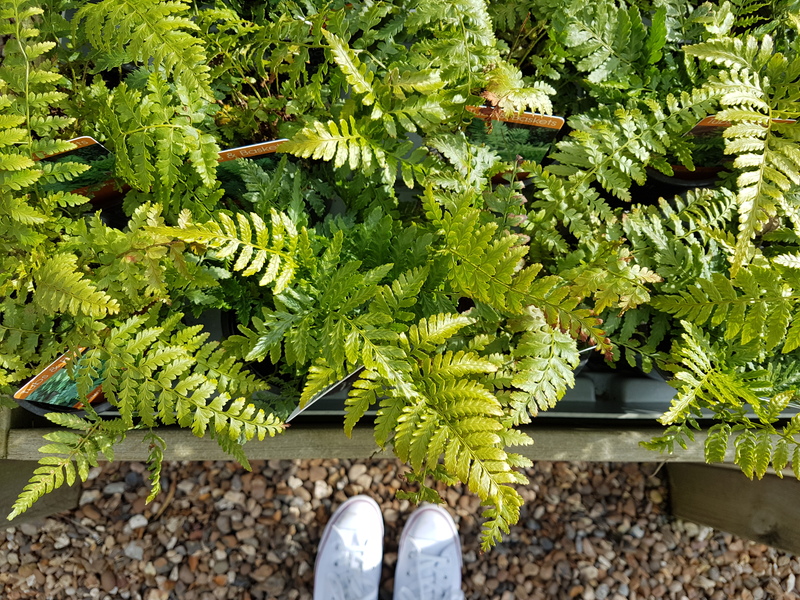 The Salcombe Deli – a brilliant place to stock up on gluten free picnic treats – from Kent & Fraser gluten free cookies to deli counter gluten free quiches, pies and pasties, they have it all. 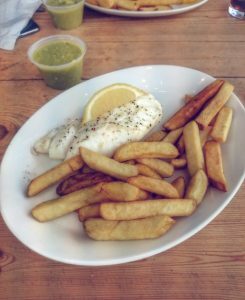 Plaice Restaurant – gluten free grilled fish and chips with mushy peas, but they also have a full gluten free menu here including gluten free pasties, tarts, pizza, etc. The chips are cooked in a separate fryer to ensure they are safe for coeliacs as this chip shop also serves gluten options. The Jetty – lovely views across the water and they are very capable of catering for coeliac gluten free needs. This restaurant focuses on local, seasonal food. I have read that they offer gluten free high tea here, just give them a call in advance to prebook. 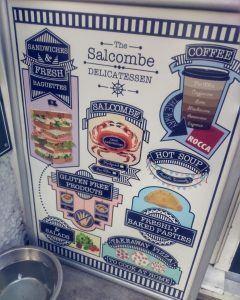 Salcombe Coffee Company – worth popping in to see what the menu of the day is, as sometimes they have gluten free cake or some gluten free food options available. 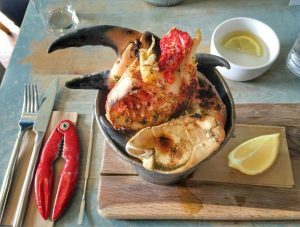 The Crab Shack – buckets of giant crab claws with lobster, covered in garlic butter were the order of the day here. Chips were gluten free and there were lots of other gluten free options available. Staff knew their stuff. PerryLicious Coffe and Cake Rooms – they had gluten free cakes on offer here, plus a gluten free menu (and a vegan one too). TwentySix – gluten free cakes and gluten free bread means there are lots of good options for coeliacs here. 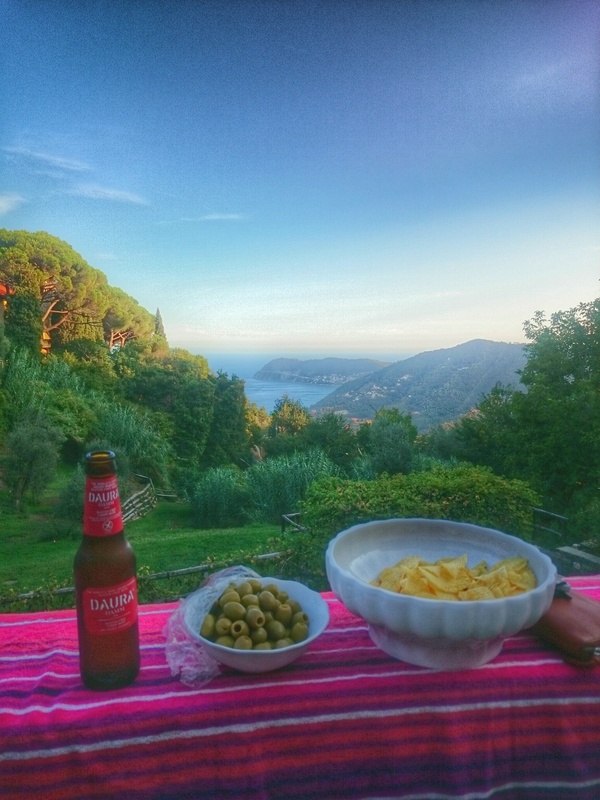 A nice spot for breakfast, lunch or a coffee. They have gluten free SCONES too, mmmmmmm! The Old Java Coffee House – they had gluten free cakes available here. Beachcomber Café – we spotted some more gluten free cake on sale here. Finley Brown’s – we didn’t eat here, but they did have some gluten free options on the menu and I’ve seen positive reviews. Finn McCools – they do proper battered gluten free fish and chips on Sundays. Carole’s Cupcake Bakery and More – mainly selling normal cupcakes, but they do often have gluten free cupcakes available. The Coffee Rush – across the river in Shaldon, this café offers gluten free cakes and other gluten free light meal options like jacket potatoes. Anran at Tidwell Farm – if I could quit my job and move in permanently to this beautiful B&B I would. 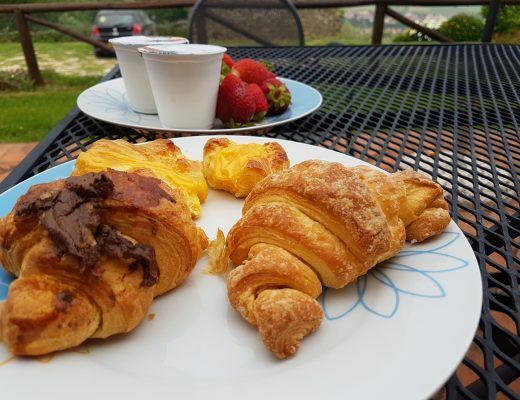 One of the the best bed and breakfasts I have ever stayed in, they also did a wonderful job of catering for my coeliac needs. 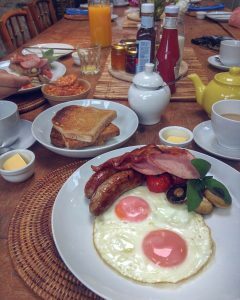 Chef Yarsley made us excellent breakfasts with gluten free bread, gluten free sausages and proper free range eggs. 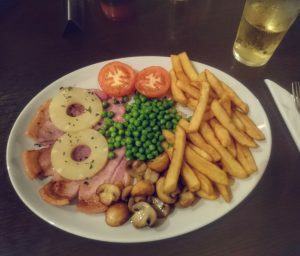 Live and Let Live Pub – what a great find, this pub has a coeliac barman who was extremely helpful at letting me know what I could and couldn’t have. Rustic pub grub serving massive portions. Ashburton Cookery School – Naomi Devlin occasionally runs her gluten free cookery courses here (including a gluten free patisserie one, which sounds amazing), so if you are interested send them an email to find out about any upcoming gluten free courses. Near Ashburton is a pub called The Rising Sun that mentions gluten free options (including gluten free pies and gluten free pasta) on its website – might be worth a visit to sample their gluten free wares! The menu on their website is marked up with “gf” and there are lots of options to choose from. David’s Fish & Chips – proper battered gluten free fish and chips available any day of the week, hurrah! They cook the gluten free choices separately from the gluteny ones and make good efforts to keep all the preparation away from gluten products. They won Gold at the FreeFrom Eating Out awards. Rock Fish – not tried and tested by us (I sometimes wish I had a second stomach), but their website states their whole menu is available gluten free and that they have special preparation processes to ensure items are safe for coeliacs. I have seen lots of reviews raving about their gluten free batter. The Coffee House – a few gluten free options available, both meals and snacks, as mentioned on their website.